470 pages | 134 B/W Illus. 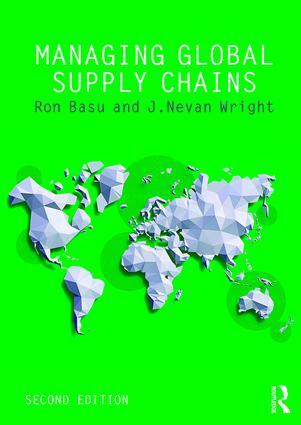 Starting from the concept that "there is no point driving a Ferrari in a traffic jam", Basu and Wright demonstrate the importance of good supply chain management in Managing Global Supply Chains. Building on the successful Total Supply Chain Management and incorporating the new challenges of globalisation, this book demonstrates the practical tools and techniques that add value, deliver cost reduction and improve customer satisfaction. This book also provides comprehensive insight into lean and agile supply chains supported by tools, techniques and case examples. Managing Global Supply Chains is a practical text with excellent coverage and is ideal for post-experience business students or learning professionals in supply chain management. Ron Basu is Director of Performance Excellence Limited and a Visiting Executive Fellow at Henley Business School, University of Reading, UK. He is also a Visiting Professor at SKEMA Graduate School of Management, France. J. Nevan Wright is a Lecturer in Supply Chain Management and Operations Management and was formally MBA Director for the Auckland Institute of Studies and an Associate Professor at Auckland University of Technology, New Zealand.